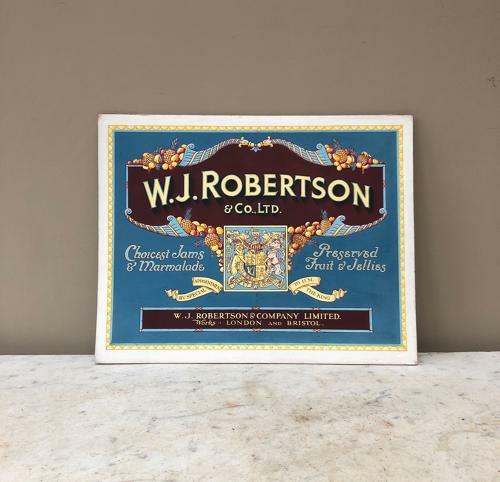 Rare Original Painted Advert for W.J.ROBERTSON & Co LTD with By Royal Approval Central Crest. Very good quality & fantastic detail. Fruits spilling from cornucopias and unless you are very close up you wouldnt know it was painted. Still with its original fold over cover and notes on the back re colours used. There is a fold to the bottom left corner the rest excellent.